Users in Bangladesh are able to access all kinds of cloud computing services including software-as-a-service (SaaS), infrastructure-as-a-service, platform-as-a-service (PaaS) and storage. Most users generally use global international cloud providers. Users in Bangladesh are able to access all the global international cloud providers. Some local companies provide cloud computing services. Their services include providing SaaS, PaaS and storage services. Cloud computing is still not very established in Bangladesh. We were not able to find any reliable market statistics. We were unable to find any reliable data or studies on the impact of cloud computing in Bangladesh. The government of Bangladesh is taking various steps to develop the IT sector in Bangladesh. In 2014, it was reported that the Bangladesh government is planning to move to cloud computing ‘G’ (government) to preserve the country’s sensitive data. According to the Information Security Policy Guidelines, all government agencies will be brought under the e-governance framework. Different government ministries or divisions, departments or agencies and their subordinate bodies have started implementing e-governance. The intention is to improve and ease the government work process and to increase the productivity of the government. According to the ‘National Information and Communication Technology Guidelines 2015’, one of the action plans of the government includes creating data centres to preserve government information and central hosting of e-services. One of the leading national daily newspapers reported in 2016 that the construction of the national data centre (National Tier IV Data Centre) will be completed by 2017. This US$154- million project is being implemented by Chinese telecom giant ZTE Corporation. ZTE started building the government-sponsored centre at the Hi-Tech Park in Kaliakoir, Gazipur. The test run of the data centre, which will preserve all sensitive data of the country, will start in February 2018 (www.thedailystar.net/business/national-data-centre-be-ready-2017-1302760). The ‘National Information and Communication Technology Guidelines 2015’ envisages the establishment of software technology parks, hi-tech parks and ICT incubators. In order to encourage investment in this sector, the guidelines also envisage tax holiday and other incentives. Under section 46C of the Income Tax Ordinance 1984 (ITO), certain tax exemptions are available to hi-tech parks, ICT villages or software technology zones and IT parks. Cloud computing is not yet expressly mentioned as a commercial, technological or operational concept in our legal system. There is no legislation or regulation that directly and specifically prohibits, restricts or otherwise governs cloud computing, in (onshore) or outside (offshore) Bangladesh. Bangladesh is not part of the EU and, as such, EU laws do not have any direct effect in our jurisdiction. (c) undertake any construction work for providing internet service or install or operate any apparatus for such service. The term ‘telecommunication’ has been defined in section 2(11) of the 2001 Act to mean transmission and reception of any speech, sound, sign, signal, writing, visual image or any other intellectual expression by way of using electricity or electro-magnetic or electro-chemical or electro-mechanical energy through cable, pipe, radio, optical fibre or other electro-magnetic or electro-chemical or electro-mechanical or satellite communication system. Although the aforesaid provisions may be interpreted as indirectly covering cloud computing, on contacting BTRC on a no-name basis, we were informed that cloud computing service does not require a licence under these provisions. Bangladesh is not a part of the EU and, as such, EU laws do not have direct effect in our jurisdiction. There are no specific consumer protection measures that apply to cloud computing in Bangladesh. There is no sector-specific legislation that applies to cloud computing transactions in Bangladesh. The insolvency laws in Bangladesh do not expressly deal with bankruptcy of a cloud computing supplier. Therefore, the general bankruptcy laws would be applicable. 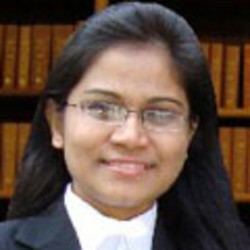 Bankruptcy in Bangladesh is primarily governed by the Bankruptcy Act 1997. The Act makes provision for, inter alia, the order of preferential payments from the distributable assets of the bankrupt, management of distributable assets, appointment of receiver and so on. There is no specific data protection or privacy legislation applicable to cloud computing contracting or contracts. There are some sector specific data protection laws. However, these provisions apply generally and are not limited to cloud computing contracting or contracts. For example, under the Bank Companies Act, 1991, permission from Bangladesh Bank (the central bank of Bangladesh) would be required for a banking company to remove from Bangladesh certain records or documents. Bangladesh Bank has issued various guidelines and circulars on cybersecurity and ICT security. These guidelines and circulars set out various requirements that banks and non-bank financial institutions must adhere to. The Guideline on ICT Security for Banks and Non-Bank Financial Institutions of 2015, for example, sets out the minimum requirements to which banks and non-banking financial institutions (NBFI) must adhere to (eg, the bank or NBFI, which provides payment card services, should implement adequate safeguards to protect sensitive payment card data). The banks or NBFIs are required to ensure that sensitive card data is encrypted to ensure the confidentiality and integrity of these data in storage and transmission. It also sets out detailed procedure for the security of data centres in which critical systems and data of a bank or NBFI are concentrated and housed. Banks or NBFIs are required to establish baseline standards to ensure security for operating systems, databases, network equipments and portable devices. In the telecoms sector, operators are required to maintain confidentiality of subscriber information. The Cellular Mobile Phone Operator Regulatory and Licensing Guidelines 2011 and Regulatory and Licensing Guidelines for Establishing, Operating and Maintaining 3G Cellular Mobile Phone Services stipulate various conditions in the licences of the mobile phone operators. One such condition is subscriber confidentiality. Accounting information and user information of subscribers cannot be transferred to any person or place outside Bangladesh. Similar restrictions apply to licensees providing other telecommunication services, such as an internet protocol telephony service. The government has also taken a number of measures to ensure cybersecurity and information security. For example, the National Cybersecurity Strategy outlines a framework for organising and prioritising efforts to manage risks to the cyberspace or critical information infrastructure. It outlines minimum-security measures that stakeholders must abide by to claim compliance with national cybersecurity requirements. The Information Security Policy Guidelines was issued to help government agencies formulate their own Information Security Policy to protect their information in the cyberspace (including information that is moving in the intranet or LAN or in the cloud, or simply stored in an internal database or in a PC). There is no specific form of cloud computing contracts. There are no labour or employment law considerations that apply specifically to cloud computing contracting or contracts. There are no specific taxation rules that apply to the establishment and operation of ‘cloud computing companies’. However, under section 46C of the ITO, certain tax exemptions are available to hi-tech parks, ICT villages or software technology zone and IT parks. Under section 46C(1) of the ITO, income, profits and gains from certain physical infrastructure facilities (including hi-tech parks, ICT villages or software technology zones and IT parks) set up in Bangladesh between 1 July 2011 and 30 June 2019 (both days inclusive) are exempted from the tax payable under the ITO for 10 years beginning with the month of commencement of commercial operation, and at the rate, specified below. ‘Cloud computing services’ are not expressly provided for in taxation laws. However, VAT is payable on ‘information technology enabled services’ (service code: S099.10), which includes digital content development and management, animation (both 2D and 3D), GIS, IT support and software maintenance services, website services, business process outsourcing, data entry, data processing, call centre, graphics design, search engine optimisation, web listing, e-commerce and online shopping, document conversion, imaging and archiving, any automated services rendered by internet or electronic network, e-procurement and e-auction. 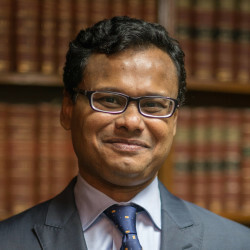 Dr Kamal Hossain & Associates, established in 1980, is one of the largest law firms in Bangladesh. It provides a comprehensive range of legal services for both national and international clients.